Nationality: Citizen of Pakistan. Upon final selection candidates with dual nationality will have to surrender nationalities other than Pakistani. Height- 5’- 4” (162.5 cm). FSc (Pre Engineering) – Physics, Mathematics, Chemistry / Computer Studies / Computer Sciences with minimum 65% marks. Sir kya aap mujhay bata saktay hain k TCC Initial Test main MCQs aur Marks ki kya division hai? We appreciate your interest in using pakprep.com. TCC test will consist of Maths, Physics, Chemistry and Intelligence MCQ’s. There will be 100 MCQ’s of Intelligence and 50 each Mcq’s of Maths, Physics and Chemistry. Please follow the bellow mentioned link for your preparation. Tu ye test mere exams me ya exams ki preparation me tu koi disturbance create nhi kre ga? Mtlub test kab ho ga? We appreciate your interest in using pakprep.com. Your TCC test will be consist of Intelligence, Physics, Chemistry and Maths MCQ’s. Please follow the bellow mentioned link for your preparation. For more details you can call us at 0335-5833265. What kind of intelligence MCQs came in TCC initial test???? We appreciate your interest in using pakprep.com. Both verbal and Non verbal MCQ’s will be there. Please follow the bellow mentioned link for your preparation. For more details you can call us at 0335-5833265. Sir math,chemistry, physics and intelligence test ki marks division bata dah in detail??????? We appreciate your interest in using pakprep.com. There are around 80 Intelligence MCQ’s and academic portion is not confirm they use to change academic portion every time, so prepare all subjects. For more details you can call us at 0335-5833265. I want the pattern of TCC academic test. We appreciate your interest in using pakprep.com. There are around 80 Intelligence MCQ’s and academic portion is not confirm they use to change academic portion every time, so prepare all subjects. Academic portion contains English, Physics, maths and Chemistry Mcq’s. For more details you can call us at 0335-5833265. We appreciate your interest in using pakprep.com. There will be around 80 Intelligence MCQ’s, however MCQ’s from academics section are not fixed they use to change every time, so you have to prepare fully. Total time allowed is around 2 hours for both Intelligence and Academic section. Please follow the bellow mentioned links for your preparation. For more details you can call us at 0335-5833265. We appreciate your interest in using pakprep.com. Total time allowed is around 2 hours for both Intelligence and Academic section. Please follow the bellow mentioned links for your preparation. For more details you can call us at 0335-5833265. We appreciate your interest in using pakprep.com. If they accepted your registration and you got your test date and time so there will not be any issue unless you provided correct information. Please follow the bellow mentioned links for your preparation. For more details you can call us at 0335-5833265. How much chest is required in tcc and does eyesight matter in tcc? We appreciate your interest in using pakprep.com. Minimum chest required is 36 inches however do appear in Initial medical. There will be no issue if your chest is not up to minimum requirement they might give you time for that. We appreciate your interest in using pakprep.com. Yes you can but for this you have to visit your nearest Army Office. Please follow the bellow mentioned links for your preparation. For more details you can call us at 0335-5833265.
assalam o alikum sir kia ap mujhy bata sakty hain k medical test ma kia kia hota ha..????? We appreciate your interest in using pakprep.com. In initial medical they will just check your height, weight, chest, and knee knocking. Ii want to ask one of the most important question regarding the test of ISSB on account of TCC. i heard that, Only those candidates will go through ISSB of TCC that are shortlisted not the All candidates that cleared the initial process i.e( initial test,Medical and physical). Is it true? We appreciate your interest in using pakprep.com. Usually they call all candidates who passed initial test. They make merit after ISSB test not before that. We do not have such information or there is no official notification regarding this. How many time tcc announce in a year? We appreciate your interest in using pakprep.com. 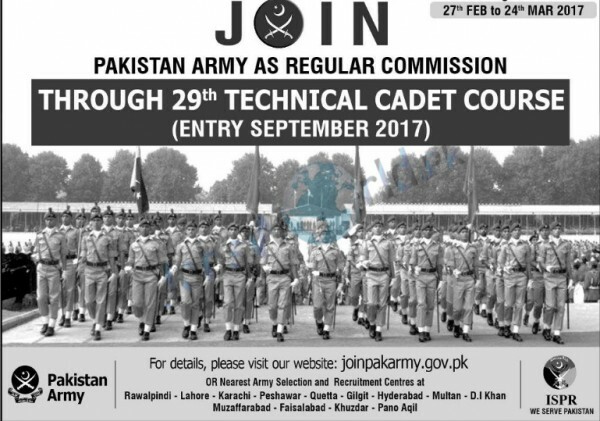 Pakistan Army announce TCC course once in a year. Please follow the bellow mentioned links for your preparation. For more details you can call us at 0335-5833265. Initial test of TCC consists of Verbal,Non-Verbal & Academic test. Academic section consists of questions from maths,physics,computer science and english. We appreciate your interest in using pakprep.com. Yes TCC pattern is almost same. Please specify your question so that we can help you. For your preparation please follow the bellow mentioned link. Sir please muja batay ka kya ma Ab tcc ko leay apply kar Sakta go? We appreciate your interest in using pakprep.com. Registration dates are over now you have to wait till next course announcement. Please follow the bellow mentioned link for your preparation. Tcc course only offered after FSC. Please read the eligibility criteria. can i apply in army after BSIT? We appreciate your interest in using pakprep.com. There are only two options for females in Paf which are GDP and Aeronautical engineering. You can apply for both if your age is not more than 22 years. We appreciate your interest in using pakprep.com. 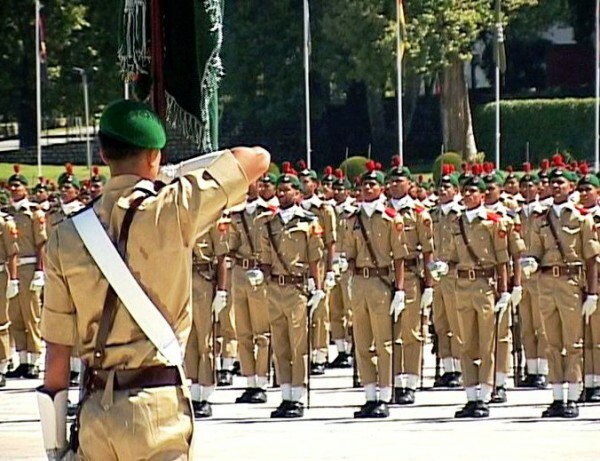 Yes you have to appear in TCC initial test and medical after clearing that there will be ISSB if you mange to get successful in it that you can join Pakistan Army as TCC cadet. login to http://www.pakprep.com for the preparation of TCC test. I want to join pak army as an engineer can I go for it?? We appreciate your interest in using pakprep.com. TCC course is only for males however you can join Pakistan Air force as GDP. Next course for girls will announce in February. Please follow the bellow mentioned links for your preparation. can i apply in army now? em waiting for my second year result. We appreciate your interest in using pakprep.com. Yes you can apply on the basis of 1st year result. However TCC course is not announced yet. We appreciate your interest in using pakprep.com. Yes if you have Physics, maths and computer in your icom than you can apply for TCC. Please follow the bellow mentioned link to start your preparation. We appreciate your interest using pakprep.com. Yes if you have 60% marks with Physics, Chemistry/computer, Maths/Biology. Please follow the bellow mentioned link for your preparation. We appreciate your interest in using pakprep.com. If your fsc part1 is clear and you have 65% marks in fsc part 1 than you can appear in this test. Sir tcc ki registration dates kya hain ? We appreciate your interest in using pakprep.com. TCC next course is expected in January/ February. Please follow the bellow mentioned links for your preparation. 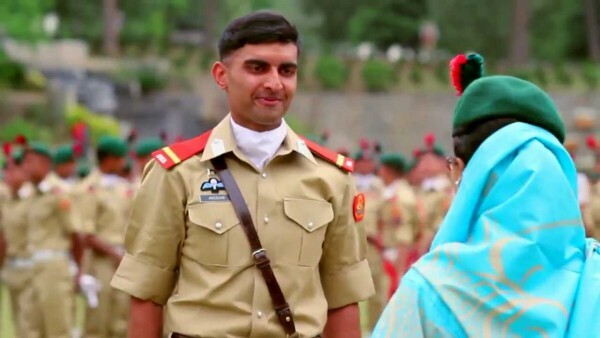 Sir please tell me, how many marks required to pass the test as a commissioned officer..
We appreciate your interest in using pakprep.com.. If you have 65% marks in FSC than you can apply for TCC course. However in test you have to get at least 60%+ marks. Please follow the bellow mentioned links for your preparation. Sir ap plese bta deen ga k tcc ki isi sal agli date kon si a rhi ha???????. We appreciate your interest in using pakprep.com.. Next TCC course is expected in February. Please follow the bellow mentioned links for your preparation. Sir after matric can I join army in faculty pre medical ?? We appreciate your interest in using pakprep.com.May be you can please visit http://www.joinpaf.gov.pk to get all details. Aoa, Hi! if a person passes all these tests except chin ups, can he proceeds??? and if if he do pull ups, not chin ups can he proceed!!! We appreciate your interest in using pakprep.com. Its depends we can not say any thing exactly about this however you have to clear all test. We appreciate your interest in using pakprep.com. TCC next course is expected in February. Please follow the bellow mentioned links for your preparation. Sir tcc ki test kab lete hain, kis month mein? We appreciate your interest in using Pakprep.com. It depends upon youur interest but go for PMA L/C which will be held in 2018. We have all online material for the preparation of entry test. For registration please follow the below mentioned links. We appreciate your interest in using Pakprep.com. The registration dates are expected in February 2018. Keep following Pakprep.com blogs for the latest details. Please follow the bellow mentioned links about TCC cadets. For further details you can call our helpline at 0335-5833265. Dear sir,can you told me about the information of tcc exams who college are prepared the tcc exam and also told me sir i am a student of fsc part 2nd year. We appreciate your interest in using Pakprep.com. The initial test will be Intelligence (verbal,non verbal) and acedemic test. Pakprep.com provide you complete material for the preparation of the TCC. It includes Intelligence MCQs , English and Physics important MCQs for the preparation. There are many sucesful students from Pakprep.com for TCC. Follow the below mentioned links and start your preparation today. You can apply on the basis of Hope certificate if you have 65% marks in FSC part 1st. Tu ye test mere exams me tu koi disturbance create nhi kre ga? Mtlub test date kia ho hi? No it will not create any disturbance. TCC administration ensures that. Sir fsc med student apply kar skta ha??? No. Medical students can not apply for TCC. TCC kaliy aik saal main kitni bar seats ati hain? Not compulsory for Initial test 1st day. After passing Initial test it is compulsory in ISSB form. I want to apply for tcc test issb kindly provide me informamation regarding next registration..when can i apply ? Is thw registration open these days ? If not ! When will it be open? please can you inform me how to apply for TCC? and what is commissioner ?and more about the dates to apply? looking forward for a favorable response..
We appreciate your interest in using pakprep.com. TCC next course is expected to announce in January/February 2019. Minimum 65% marks are required to apply for TCC for more details follow bellow mentioned link. You can apply online after they are opened for registration. Please follow the bellow mentioned link for your preparation. For further details you can call our helpline at 0335-5833265. Sir i wanted to know that If i cleared my Tcc All physical , medical then when will be ISSB Date For it. can you suggest me any specific date. Also, One Student have told me that his ISSB date for 2018 was In the MAY End. I have also applied for navy that’s why I am asking you to help me out whether i would ISSB for NAVY or I would take ISSB for TCC? Plz reply me sir. sir tcc 2019 ki registratioon dates kab announce ki jae ge? Sir initial test intelligence, physical and medical test same day hi ho Ga? Sir Tcc ma English ka test Ni hota Kya .??? Or sir ye test computer program hota ha ?? ?